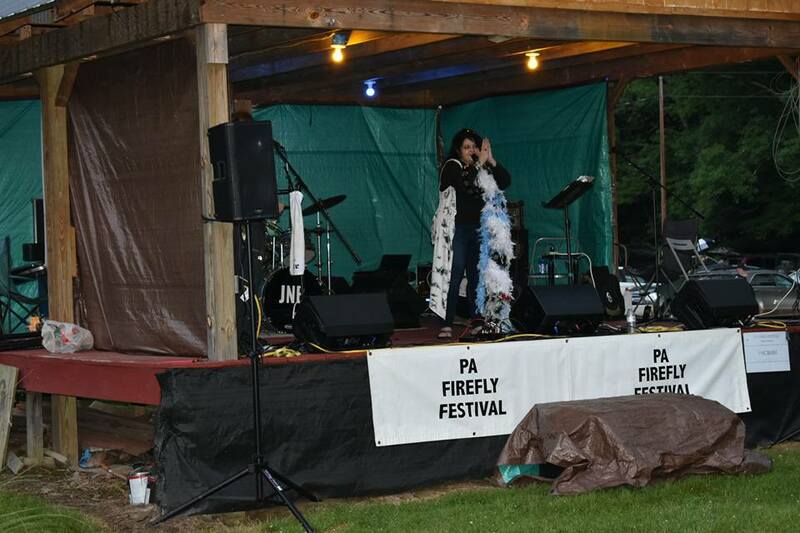 This blog will keep you informed about the plans for the annual PA Firefly Festival. 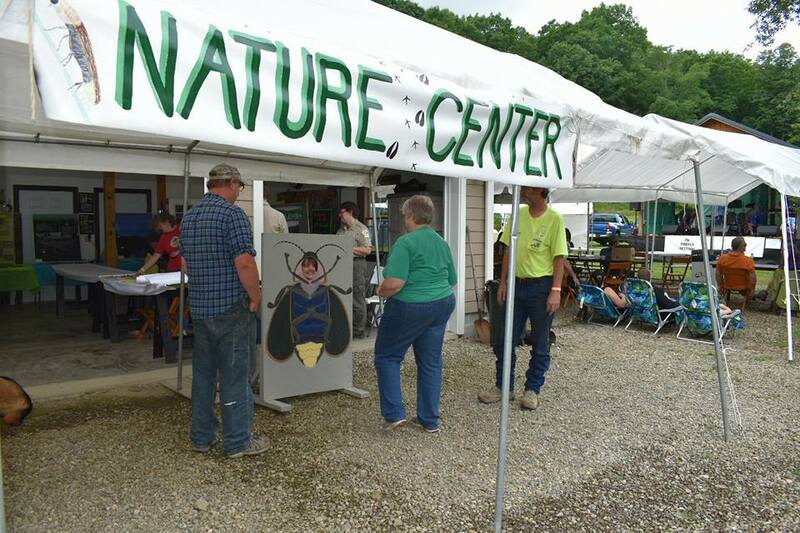 The festival celebrates the annual mating displays of over fifteen different species of firefly in the Allegheny National Forest area including the Synchronous firefly and the unique "Chinese Lantern" firefly along the Tionesta Creek. The Annual PA Firefly Festival takes place on the grounds of the Black Caddis Ranch B & B in Kellettville, just 15 miles east of Tionesta on Route 666. The address is 13558 Route 666, Tionesta, Pa 16353. PARKING $5 donation, proceeds benefit PAFF and AmVets post 113. CELEBRATE EARTH DAY with FIREFLIES!! 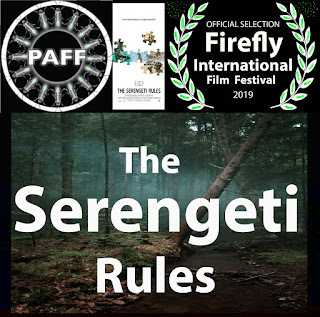 The PA Firefly Festival organization and the Howard Hughes Medical Institute invites you to the FREE Double-Feature PA Firefly International Film Festival on April 20th at the MACA building in Marienville and a second screening at the Sarah Stewart Bovard Memorial Library in Tionesta on Monday, April 22nd (Earth Day). The doors open at 6:30 pm for both events. The 2 films being shown are the animated short "MY FIREFLIES" by Ibiyinka Alao and the 2018 Award Winning Documentary, "The Serengeti Rules", portions of which were filmed here in Forest County in 2016. Residents and campers will recognize scenes of Mayburg, Kellettville and Yellowhammer. The film is not due to be released in theaters on the coasts until May. So, this is a real PREVIEW opportunity for Forest County. Mr. "Ibi" Alao will be in attendance for a Q&A session after his film. Concessions will be provided by the Marienville Youth Baseball at the MACA. 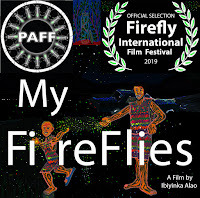 PAFF will have firefly merchandise and the brand new 2019 Festival T-shirts on sale. Donations will be accepted and always appreciated. In addition, on Saturday, April 20th from 1-3 pm PAFF and Forest Area Arts Council are sponsoring a Painting Workshop with Ibiyinka Alao. Ibi is a United Nations Ambassador of the Arts from Nigeria. 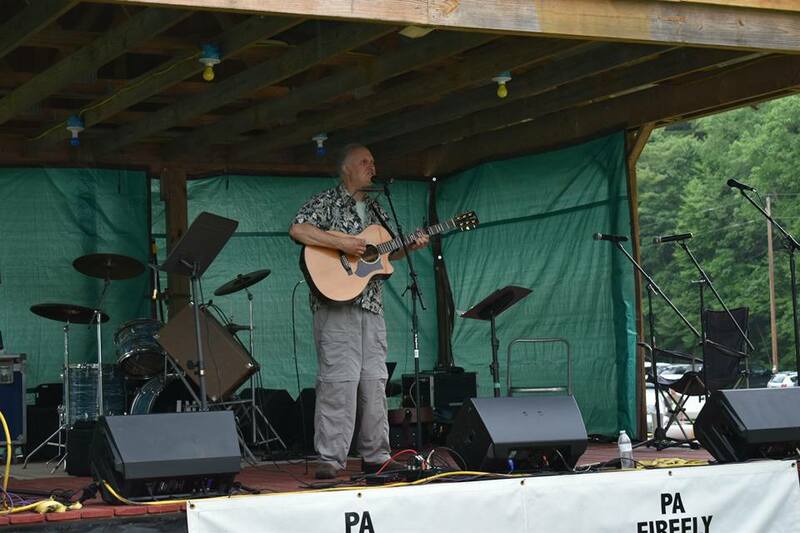 He is a painter and filmmaker who has become a good friend and supporter of the PA Firefly Festival and Forest County. His film "My Fireflies" will be screened later that evening at the film festival. Ibi will conduct a painting workshop for all ages and artistic abilities from 1-3 pm at the MACA. Registration is $20 per adults and $10 for students. Call 814-463-7606 or email pafireflyfestival@gmail.com to register by April 18. 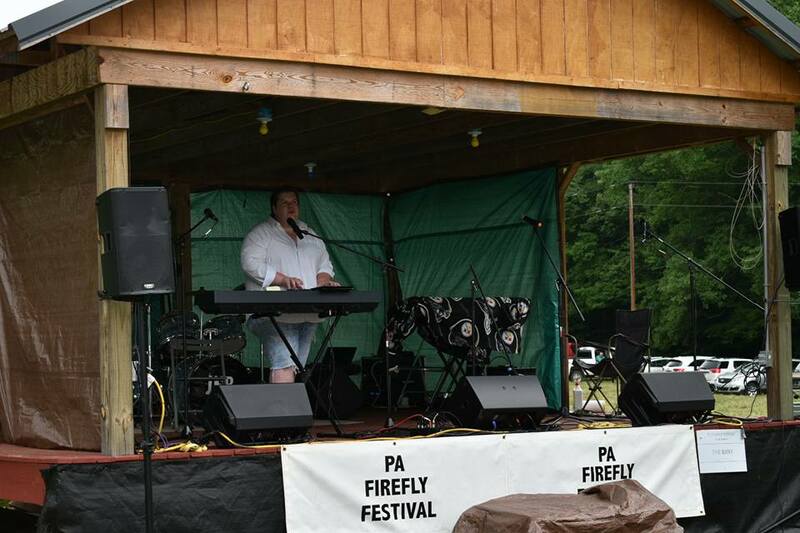 We are well underway with plans for the 7th Annual PA Firefly Festival. 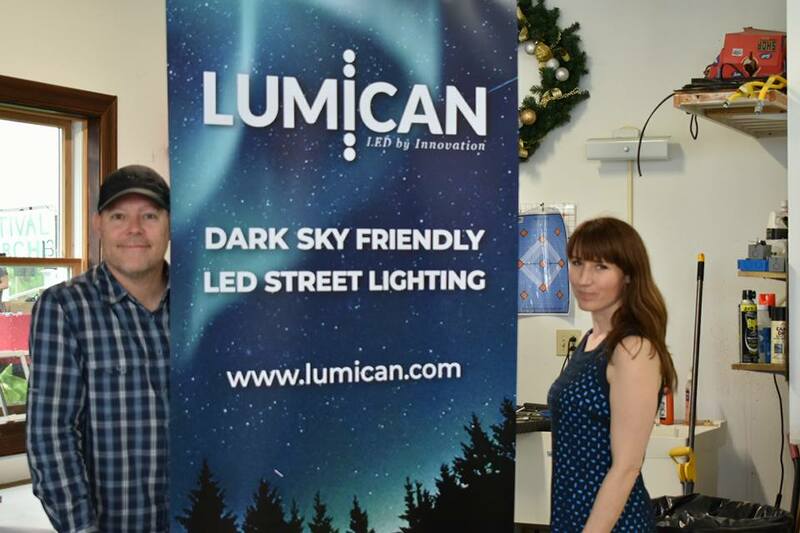 We know many of you are looking forward to the firefly season based on the subscriptions to the newsletter, emails and phone calls requesting information. We released a newsletter on February 14th and many of you have subscribed since that time and maybe missed out on the information. So, click here to read the February newsletter. The most important news is our fundraising event with The Bridge Builders Community Foundation during the Week of Giving, March 18-22. 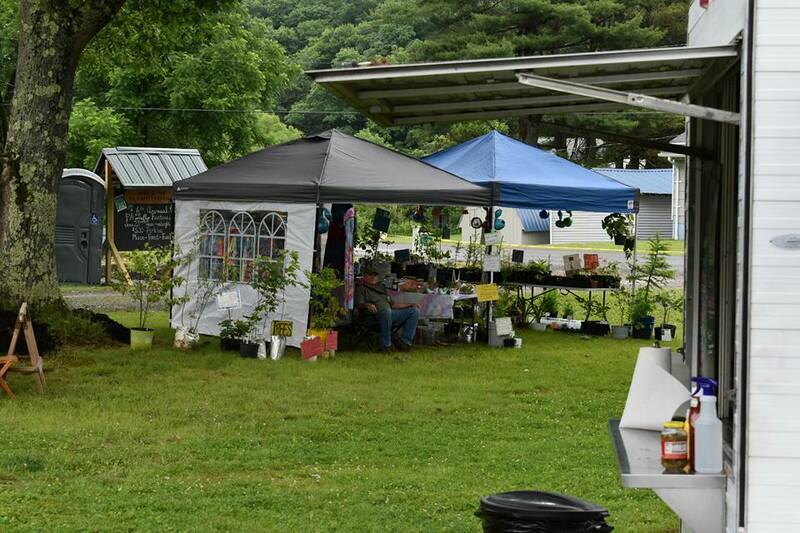 If you want to support our mission of firefly education through celebration, then you can contribute to the PA Firefly Festival online during that week and help us to multiply the donations. Your contributions of $25 or more will be collected through the Bridge Builders Foundation and then distributed to us with the chance of generating matching funds from other organizations to help us increase the dollars. Click here to make your tax-deductible donation between March 18 and 22, just 10 days away. Thank you! Since the February newsletter, we've also added another event before the PA Firefly International Film Festival on April 20th. The PAFF and FAAC Painting Workshop with Ibiyinka Alao. Ibi is a United Nations Ambassador of the Arts from Nigeria. 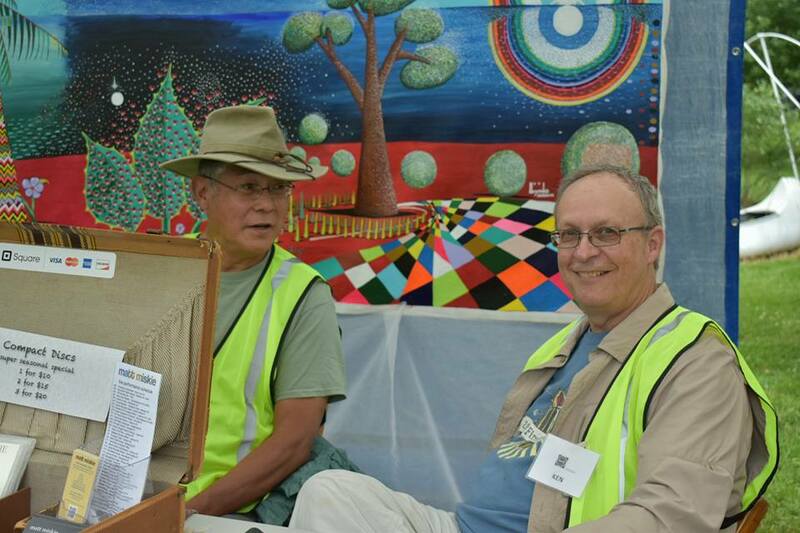 He is a painter and filmmaker who has become a good friend and supporter of the PA Firefly Festival and Forest County. His film "My Fireflies" will be screened later that evening at the film festival. Ibi will conduct a painting workshop for all ages and artistic abilities from 1-3 pm at the MACA. Registration is $20 per person and limited to 40 painters. Call 814-230-2035 or email pafireflyfestival@gmail.com to register by April 14. The 2019 PA Firefly Excursion schedule is developing as well, and as dates and locations become confirmed we will release more information. 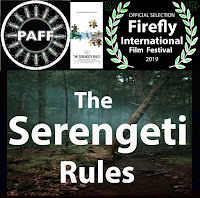 Stay tuned to the PAFireflyfestival.org website, and be sure to follow us on Facebook and Twitter for the latest. We hope you had a wonderful Holiday Season, but we are already looking forward to the 2019 Firefly Season. 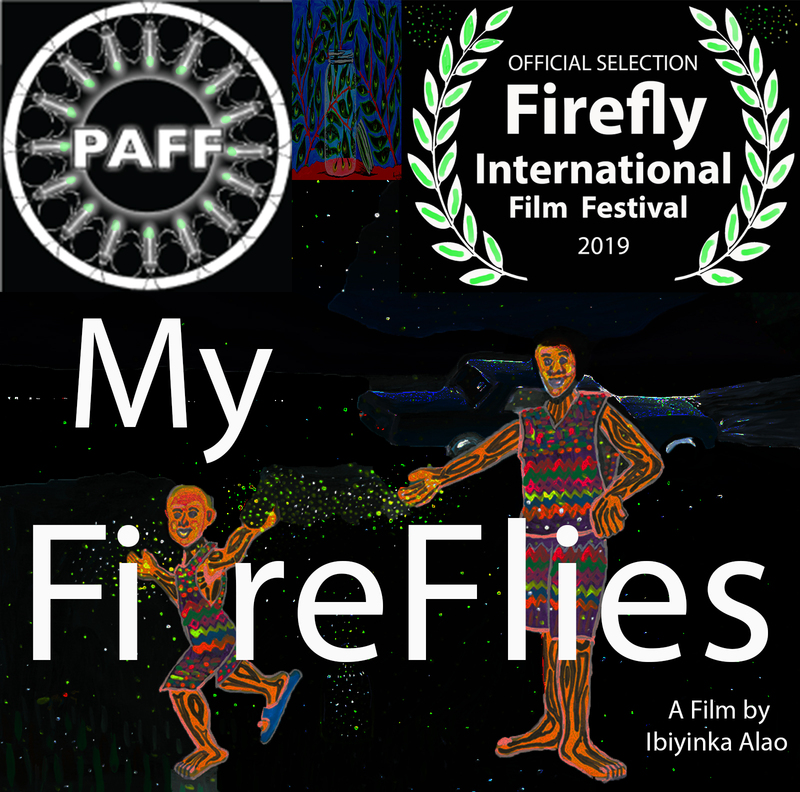 We are finding it harder and harder to not think about fireflies all year-round even in the dead of winter, and with only six months to go, the PAFF board is busy planning for the 7th Annual PA Firefly Festival Season. Based on the number of emails and phone calls already, we know many of you are just as anxious and wondering. 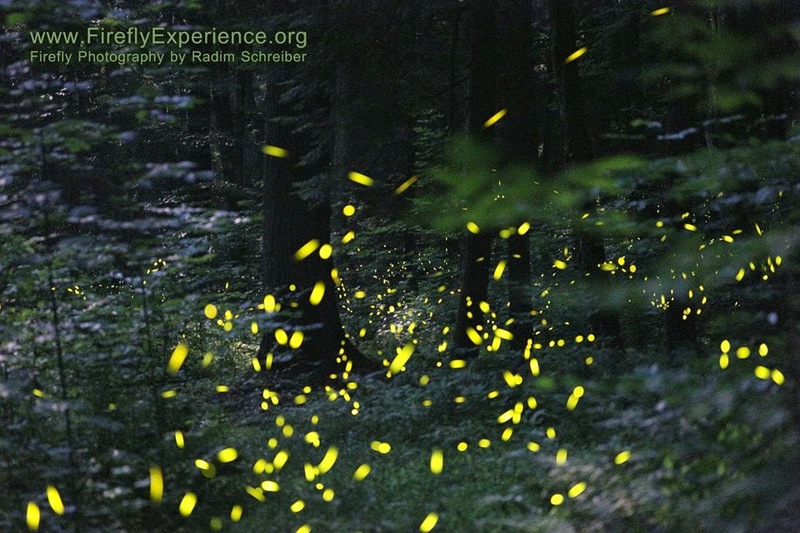 So, to end the suspense... we plan to offer once again the weekend guided firefly excursions throughout the Allegheny National Forest and Forest County areas during the month of June in addition to the night of the festival. We will also be adding some other unique opportunities you won't want to miss, but we will have to wait to reveal those later in the spring. Be sure you subscribe to the PAFF newsletter on the pafireflyfesitval.org website to get the latest news and dates for registration for all of the events. If you are planning on coming to see fireflies this summer or attend the 2019 festival, it is not too early to make your reservations for lodging accommodations. You can find a list of those on the Forest County website. 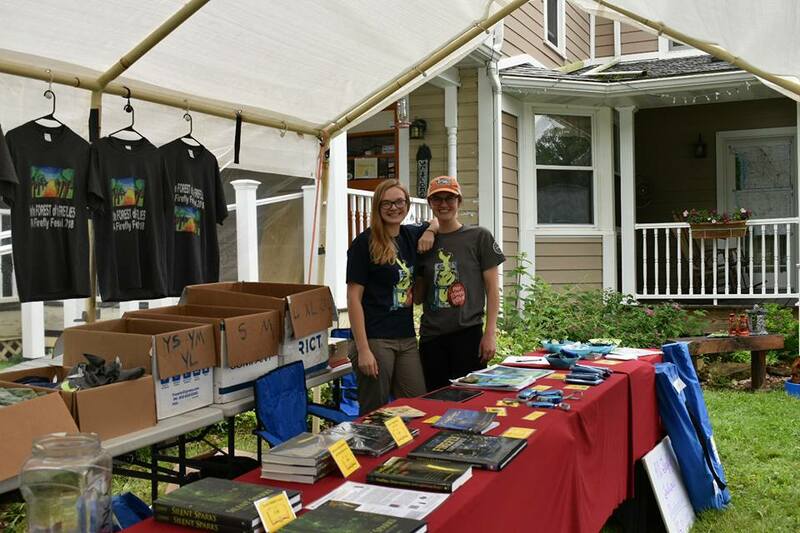 If you are a year-round or seasonal resident of Forest County, we welcome you to join us as a volunteer at the festival or maybe consider becoming an "official" Firefly Guide. You can find an application by clicking here. Guides will receive training and compensation for their time. We are also looking for artists, crafters and food vendors to participate on the day of the festival. Applications are now being accepted here. We are continuously looking for ways to improve the festival and the firefly viewing experience for the visitors. We hope you will be able to join us in the celebration and wonder of fireflies this summer. The 2018 PA Firefly Festival is in the books. It was a wet but wonderful event. The weather cleared and the attendance counter reached 550! So many people helped make it a success. Thank you to all the PAFF Board: Ken Butler, Jeff Calta, Bruce Parkhurst, Rowan Rose and Rob Santangelo; volunteers from AMVETS Post #113, and friends and family volunteers: Marshal and Gail Ariza, Stacey and Audrey Barnes, Lisa Albaugh Bee, Sam Butler, Patty Calta, Helen Fielding, Hailey Kiser, Barbara Litton, Marion & Steve Sherwood, Naryan Thompson, Shannon Thompson, David Wilton and Jay Woodring; exhibitors/experts: Ernest and Karen Boyd, Sierra Club-Moshannon; Aaron Haugh & Jessica Leacock, USDA Forest Service; Sara Lower, PhD., Bucknell University; David & Lara Mitchell, Lumican; Jennifer Moore, Chapman Dam State Park; Tory Porter & Dalton Silvis, USACE Tionesta Lake; Cecile Stetler, DCNR and Adele Wellman, Allegany State Park, NY; vendors: Brad & Jen Feltenberger, Felt-N-Burgers; Casey & Aiden Hennig, Mobile Fresca; Sandy Mills, Tionesta Moon Jewelry; Bonnie Rubin, Butterfly Bean Studio; Joan Swartz, The Pretzel Place; and Katie Taggart & Erin Crownover, Twig & Kootie's Nursery; musicians: Matt Miskie, John Stony & Co, Jesse Smith & Whiskey for 3, Angelina D & Angel Blue; performers: Ibiyinka Alao, United Nations Arts Ambassador, Tara and Tory Brown, Delta Circus, Glow Performance; sound/stage technicians: Nat Licht and Rob Santangelo; guides: Melissa Becker, Lisa Bee, Rod Daum, Tory Porter, Ariel Wenner, and Cecile Winder, and last but NOT LEAST... Interns: Kaylene Brink, Western Washington University, and Kylie Voss, State University of New York-ESF. A HUGE Thank-You goes to our sponsors and grantors: Allegheny Defense Project, Black Caddis Ranch, The Bridge Builders Community Foundation, Erie Insurance, Flying W Ranch, the Forest Area Arts Council, Heartwood, Heffern Septic Services, Huplits Wildlife Fund (Sierra Club Allegheny Chapter), Lumican, Mount Zion Lutheran Church, Northwest Savings Bank, the Paul & Ellen Charitable Fund, the PA Great Outdoors Visitors Bureau/Forest County Tourism Grant, PNC Bank J. Bowman Proper Trust, for their contributions and support of our 6th and best festival ever. We couldn't have done it without each and every one of you. Sorry, I didn't get pictures of everything and everyone, but here are a few. Of course, the FIREFLIES performed like the STARS of the show they are, and no one left disappointed. Thank you to all the visitors who came to witness this amazing display by the "spirits of the forest". Until next year, Peggy Butler. 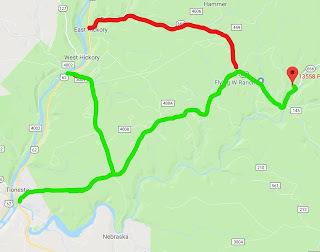 Unfortunately, Construction Season coincides exactly with Firefly Season, so many of the roads in Forest County are closed due to bridge replacements. Your GPS may not pick up these closures until it’s too late; costing you time and gas mileage. We will be installing our usual wayfinding "PA Firefly Festival" signs at strategic locations. So keep a lookout for them. We hope you will also find the maps and instructions helpful. There are 2 affected roads this year. 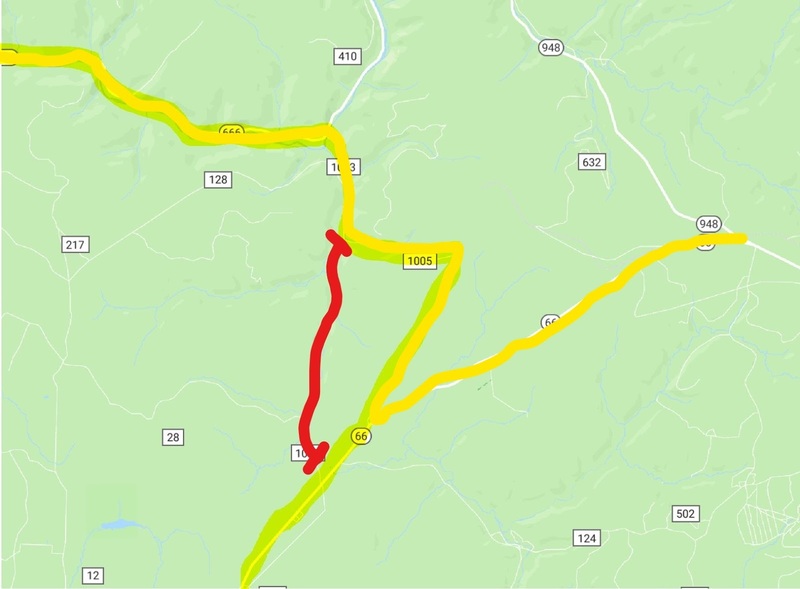 The first closure is on PA State Route 666 between PA State Route 62 in East Hickory and German Hill Road. If you are traveling from Tidioute on SR 62 southbound, follow the detour signs to Little Hickory Road, SR 3004, 2 miles south of East Hickory, turn left and then proceed to the stop sign at German Hill Road, SR 4004 (4 miles). Turn left and go to the stop sign at PA Route 666 (8 miles). Turn right onto SR 666 and go approximately 3.5 miles to Black Caddis Ranch. 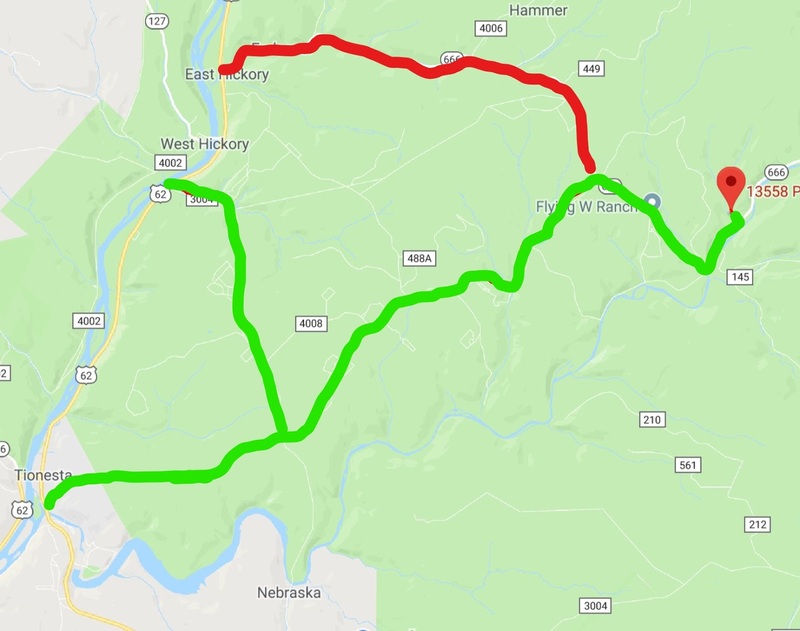 If you are traveling from Tionesta on PA State Route 62 northbound, turn right onto Little Hickory Road, SR 3004 and follow the same route as above. If you are traveling west on PA State Route 36 into Tionesta, look for German Hill Road, SR 4004 on your right. It is the second right after you cross the Tionesta bridge at the bottom of the “Tionesta Dam” hill. Follow German Hill for 12 miles to the stop and turn right onto PA State Route 666. Go approximately 3.5 miles to Black Caddis Ranch. Note: We DO NOT recommend using Nebraska Bridge Road, due to rough road conditions and it is subject to closing without notice due to flooding. The second closure is on Blue Jay Creek Road, SR 1003, 5 miles north of Marienville between PA State Route 66 in Pigeon and PA SR 666 in Lynch. If you are traveling northbound on PA 66 from Marienville, look for Watson Farm Road, T370 on your left, 1 mile north of the closed Blue Jay Creek Road, across from the Gas Well Company. Turn left and travel (3 miles) to Robenson Hill Road, SR 1005. Turn left and follow SR 1005 to the stop (2 miles). Turn right back onto Blue Jay Creek Road, SR 1003. Go to the stop (1.6 miles) and turn left onto PA 666 west to Black Caddis Ranch approximately 12 miles. If you are traveling southbound on PA 66 from PA 948, Kane/James City, look for Watson Farm Road on your right (6.2 miles southwest of PA 948), and follow the directions from above. Note: The suggested local roads for both detours, although paved, are narrow, steep and not lined, so extreme caution is encouraged. Cell service is spotty at best. Be careful and leave plenty of time to reach your destination safely. 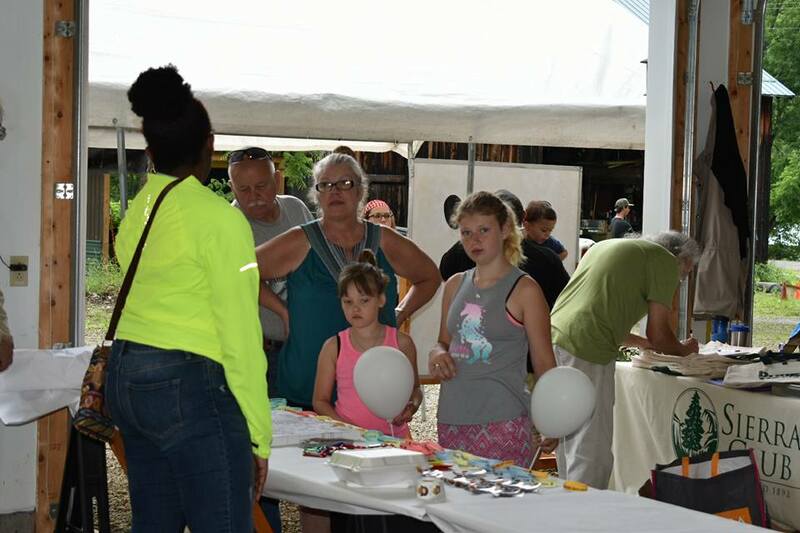 Visitors & Fireflyers to the festival can expect to see the firefly displays after 10 pm, but during the day (between 12-noon and sunset) there will be exhibits, arts/crafts, music, food and fun for kids. If you are coming for the day, we suggest you dress appropriately for the weather and hiking, but bring extra gear for the evening and inclement weather. A camp chair is a must to give you seating for the music. You may want to bring a picnic or beverages, but food vendors and water will be available. Watch for more information about food in future posts. 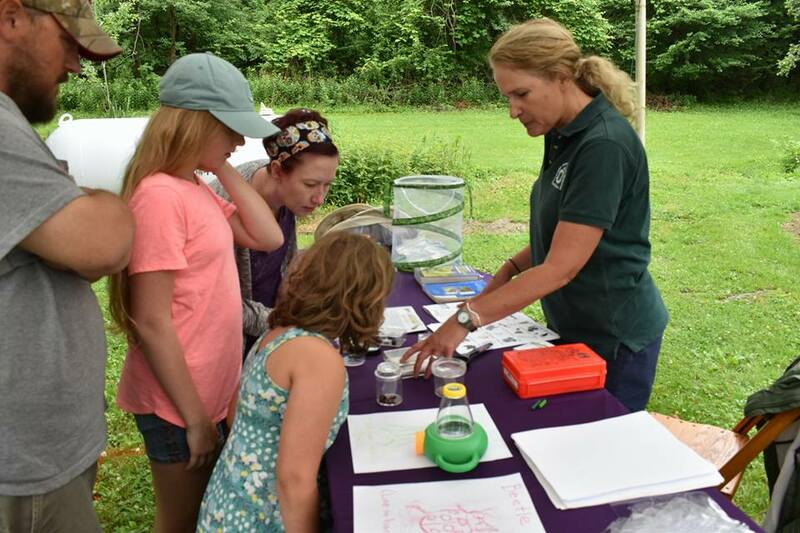 Trained volunteers and naturalists will be available throughout the festival to provide information about the fireflies, the area and "Firefly Viewing Etiquette". We encourage you to find a volunteer to help you optimize your experience and learn how to protect the habitat of this unique natural phenomenon. There is NO LODGING or camping available on-site at Black Caddis Ranch the weekend of the festival. However, there are plenty of other camping, cabins and motels in Forest County and the surrounding areas. You can find more information about these lodgings at the PAFF website. LAMPYRIDAE - The classification name (Family) of beetles that include the fireflies. Over 2000 species of Lampyridae are known in the world. ELYTRON (plural – elytra) The hard wing cover that protects the firefly wings. Elytra are a shared characteristic with all beetles. PRONOTUM A shield-like plate that covers the head of fireflies. THORAX The middle section of an insect body. ECLOSE to emerge, as when an adult FF emerges from the pupa cocoon. ABDOMEN The third and last section of an insect body. Fireflies have their light organs located in their abdomen. PHEROMONE A chemical released in the air by insects to attract mates. Some firefly species use pheromones instead of light signals for mating. COLEOPTERA The classification name (Order) for the insects known as beetles. Fireflies belong to this Order. DIURNAL Active during the daylight hours. As opposed to nocturnal. Some firefly species are diurnal. Thank you 2018 musicians for your participation. Bookings for 2019 will begin in January. WE NEED YOU!!! 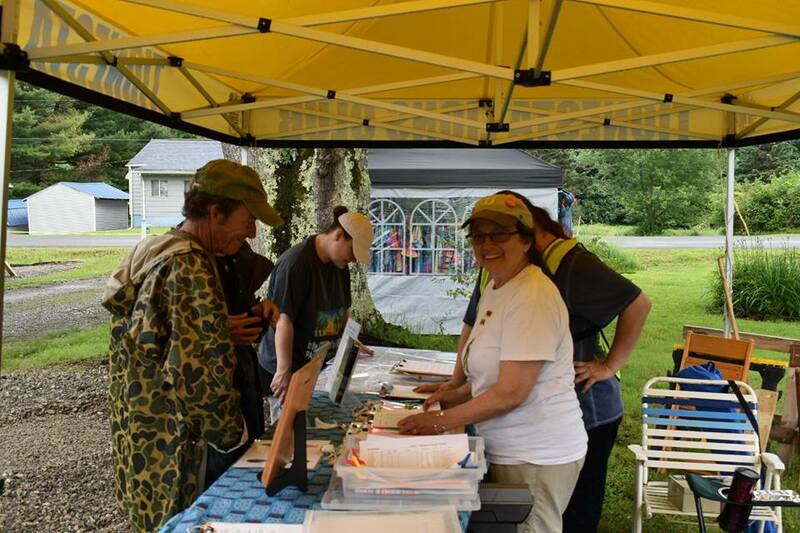 Volunteering for the 7th Annual PAFF can ensure YOU get a spot on one of the very popular Firefly walks and Synchronous Firefly shows. This is not a demanding commitment and lots of fun. We need help on Saturday with set-up, merchandise sales, registration check-in, and then tear-down/clean-up on Sunday. If you are interested and would like to help this year please go to the PAFF website to apply. If you are interested in exhibiting, please contact us at pafireflyfestival@gmail.com or apply here before May 1, 2019. We will start accepting applications for Food Vendors, Crafters and Artists in January. If you are interested in food service or selling your arts/crafts, contact us at pafireflyfestival@gmail.com or apply here. 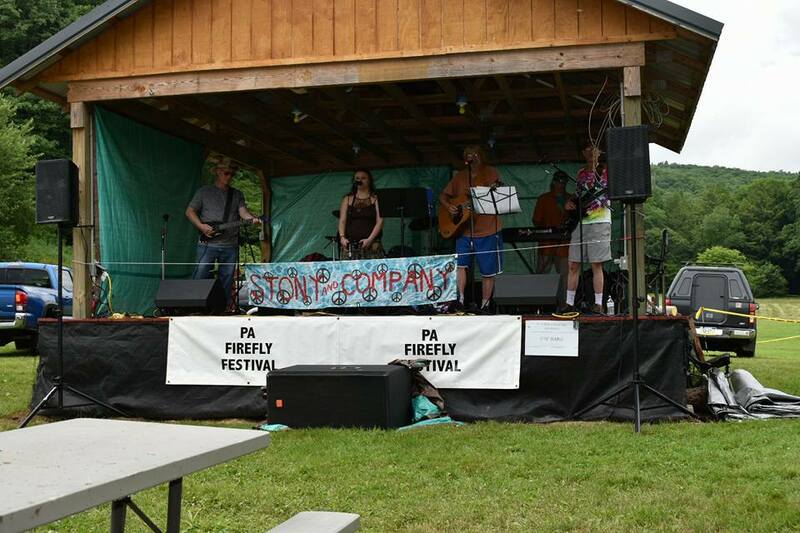 The PA Firefly Festival is a non-profit, tax-exempt, 501(c)3 organization. Your donations and sponsorship are tax-deductible contributions. All donations and sponsorship contributions go to support the mission of the festival. The PAFF board is totally comprised of volunteers who receive no compensation from donations. If you are interested in becoming a Festival Sponsor or a Firefly Friend, please go to thehref="http://pafireflyfestival.org/donate.php"> website. You will find the information about how you can help. We will gladly accept donations at the festival events. The Photinus carolinus, aka as the "Synchronous Firefly", was identified and confirmed to be in the Allegheny National Forest during the summer of 2012. A team of world-class Firefly scientists from Tennessee and Georgia came to Black Caddis Ranch for 10 days, and traveled throughout the ANF collecting specimens and studying the diversity of fireflies. The P. carolinus is unique in that the males' flash patterns are in synchrony with each other, so they appear to be like a string of Christmas lights hanging in the forest. Other witnesses have likened it to camera flashbulbs at a sporting event. One of the other confirmed habitats in North America is in the Great Smoky Mountains National Park in Tennessee where 1000s of visitors line up nightly for 10 nights to see this phenomenon. More populations are being confirmed each year stretching from Georgia to New York along the Appalachian Ridge. The Synchronous fireflies are in abundance throughout the Allegheny National Forest and can be seen in the ANF recreation areas starting mid-June through early July. Over 15 different species were identified and described along with the Synchronous. One other local species was a Photuris species dubbed the"Chinese Lanterns" by the scientists. These were observed floating across the Tionesta creek casting their glow onto the water. Starting around July 4 to the middle of August, the "Big Dipper", Photinus pyralis, begin their displays in the fields and yards all over NW PA. They can put on quite a natural fireworks show from dusk around 9 pm to 9:45 pm. Whichever species you witness during the approximately 4-6 week season, you can be sure to have a moment of awe and wonder at this display of nature. The season is highly dependent on weather and temperatures. We watch several different factors (both scientific hard data and "soft signs"). We will keep you up to date on the signs and predicted dates for 2019 starting June 1, 2019.